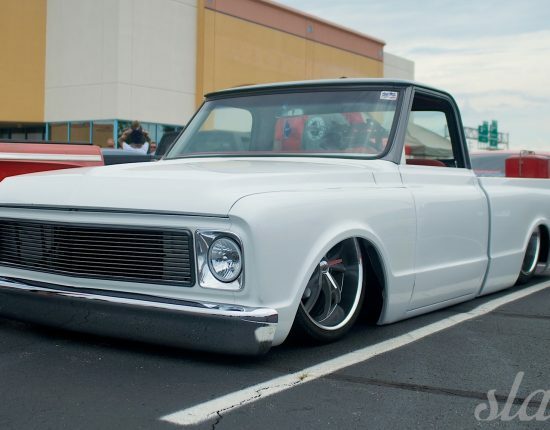 It’s no secret that we adore our Slam’d cars and trucks. Whether a car/truck is a new addition to the stable, an ongoing project, or a hand-me-down treasure, we drive and build with pride and joy. Many of us would even venture far enough to say that our vehicle(s) exists as a member of our family. All of us want what is best for that which we love. With so much attention and care given to our rides, few things are more appreciated than a company that listens to its users and improves its product based on that feedback. In the ongoing pursuit of perfection, Air Lift Performance has released an all new, threaded body kit for the Audi B8 platform. The B8 platform underpins the entire Audi A4 and A5 model line-ups. This includes all FWD and Quattro (AWD) trims, as well as the hi-po S and RS models, and even the drop-top Cabriolet. 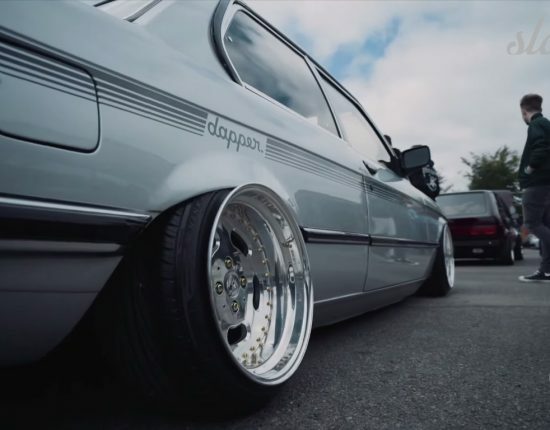 These cars represent the highly esteemed german marriage of performance and luxury. Bagged + Audi = Slam’d heaven. Based on customer feedback, the new ALP Pro kit for these european machines, enhances the already impressive handling factors. However, if ride quality is just as important as cornering capabilities to you, the upgraded “Pro” kit will bring nothing but smiles your way. It utilizes a double-bellow airbag design in cooperation with 30-way adjustable monotone dampers for the front. Damper setting allows for increased stiffness (or softness, if that’s you’re into that sort of thing). The front struts are equipped with a threaded body, allowing the user to change the position of the lower strut mount. The rear is set up with 2B6 bags and brackets which provide factory, bolt-on fitment. 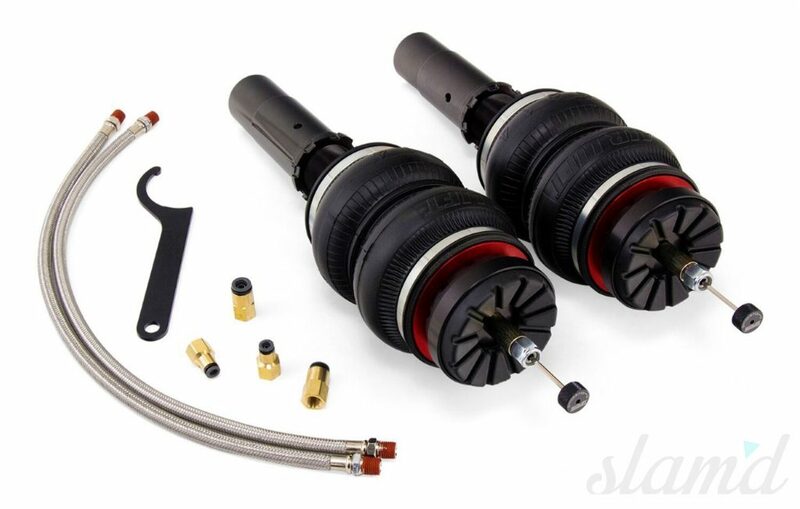 The new Threaded Body Pro B8 Kit is compatible with all Air Lift management systems. The most recent stroke of genius, with which the kit can be paired, is the 3H height and pressure system. The entire installation of the Threaded Body kit can be performed using hand tools with a basic knowledge of suspension components. The 3H controller can similarly be put in place without power tools, with the ease of replacing an entertainment head-unit. 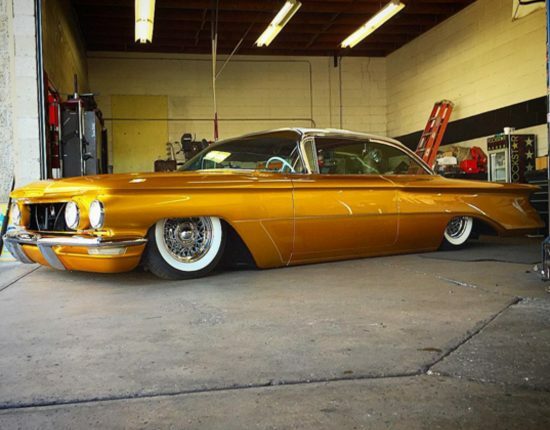 No heavy modification or fabrication is required. The 2016 Threaded Body B8 Kit, along with the ultra advanced 3H Management system, is an unparalleled combination. 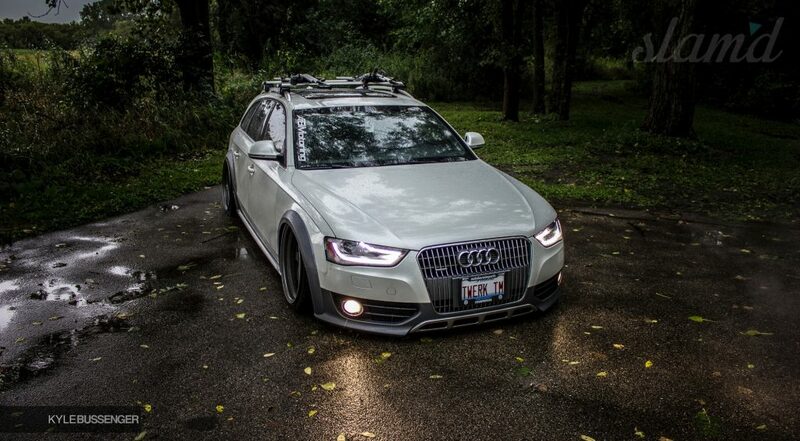 Any enthusiast looking for the means to take their Audi to the next level (or in our case, a lower level) this is it.